Social anxiety disorder causes significant distress and academic impairment for many adolescents. 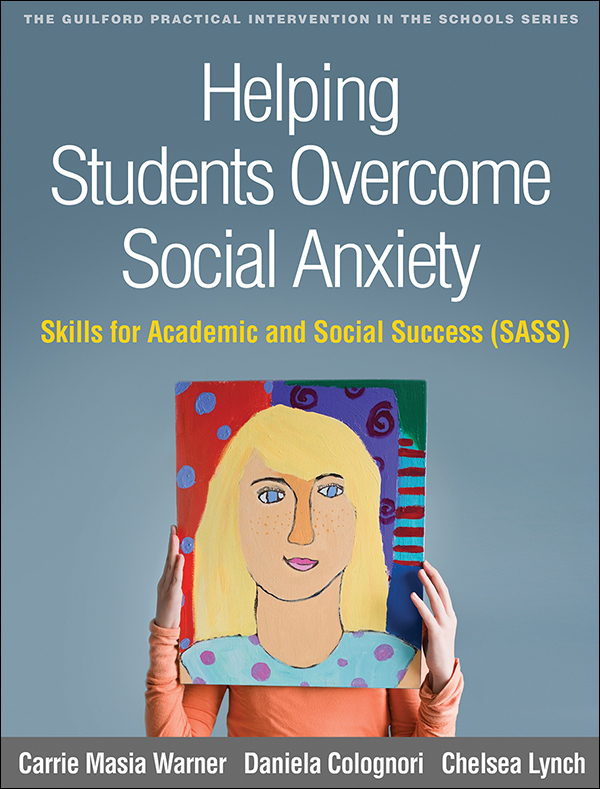 This unique book gives front-line school professionals innovative, easy-to-use tools for identifying and intervening with socially anxious students in grades 6–12. It presents Skills for Academic and Social Success (SASS), a school-based intervention with demonstrated effectiveness. Case examples and sample scripts demonstrate how to implement psychoeducation, cognitive strategies, social skills training, exposure, and relapse prevention with groups and individual students. In a large-size format with lay-flat binding for easy photocopying, the book includes 22 reproducible handouts. Purchasers get access to a Web page where they can download and print the reproducible materials.